Head to one of these colourful playgrounds around Victoria as a fun way explore the different neighbourhoods. From giant sea creatures and crazy climbers to spectacular waterfront views, these are the playgrounds you have to see. Our days have been purposely accented with parks almost every day recently. I guess it is that time of year. The rain is starting to let up, leaving vacant skies and a sun eager to part the clouds to shine brightly. For such a rainy little city, Victoria is littered with fun colourful parks at almost every corner. 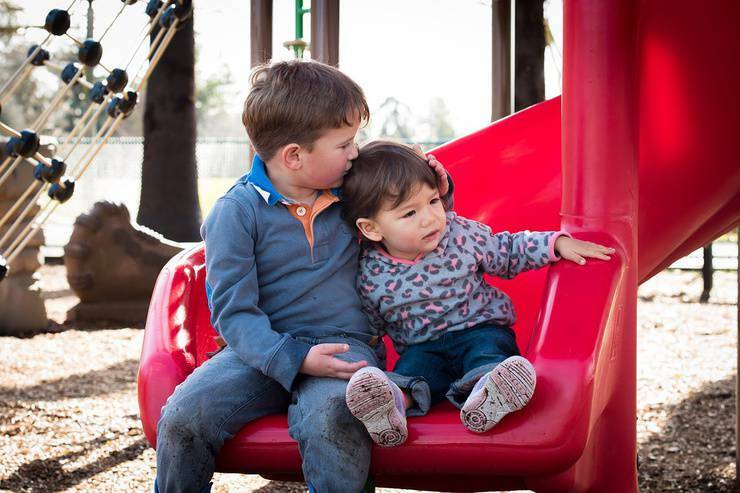 Some are geared towards older or younger kids, but most have a nice mixture of both. There is such an array of diversity to be found from one neighbourhood to the next, and we’ve been able to do a lot of exploration to find our favourites. 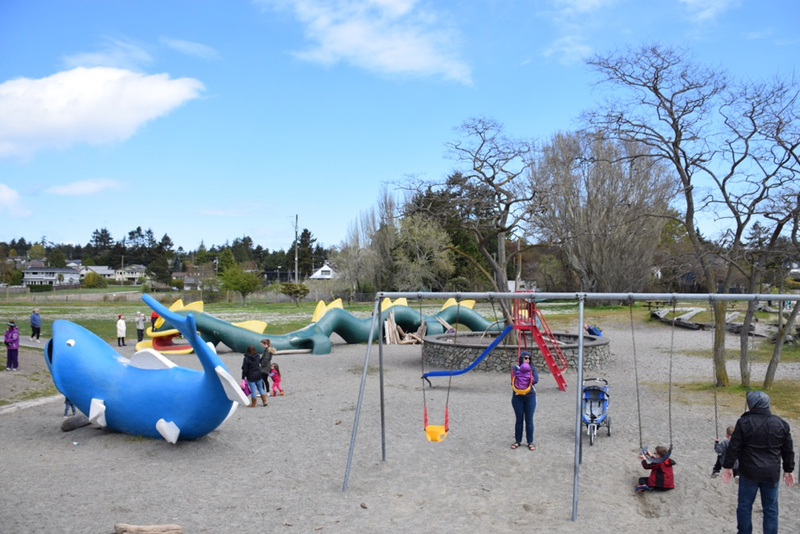 Although I could easily write a thesis sized post on the playgrounds and parks in Greater Victoria (which by the way- we have over 30 listed over here), I have narrowed it down for this list to my, or rather my son’s, top choices! Note: Come hot summer months if you're looking to cool off at a free water park, I've skipped these from this list, but you can check out our list of splash parks too. That view though! Without doubt, every visit to Willows Beach is bookended with this park. It overlooks the beach, so the scenery is pretty breathtaking as well. Beside the toddler park is one geared towards older kids with larger play structures, and a distinct climbing apparatus that I have yet to figure out. And to make it even better, there are washrooms located directly beside the parks. 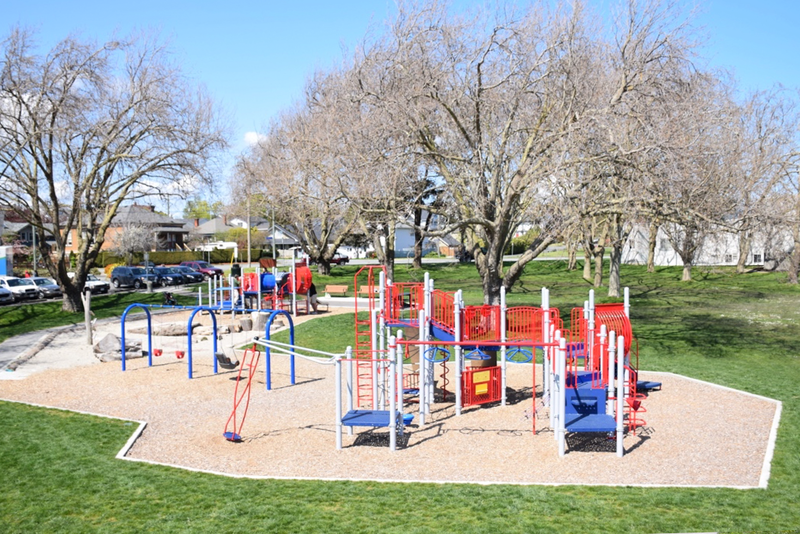 Get more information on Willow's Park. We love this park. We affectionately call it the Christmas Tree Park because it has this huge carousel with encircling green rope in the shape of a tree. This park also has a zip line, and although my son is terrified of it, it appears to be very popular with other children. With a full set of equipment with ladders, steps, texture walls, and slides, this park also has a huge sand box filled with a red dinosaur and dinosaur eggs. We love climbing onto its neck, and into its mouth — this park definitely feeds our imaginations! And since being recently renovated, this is one of the most friendly and popular parks in Victoria. But don’t let that worry you, it is so large and so varied there is space for everyone. 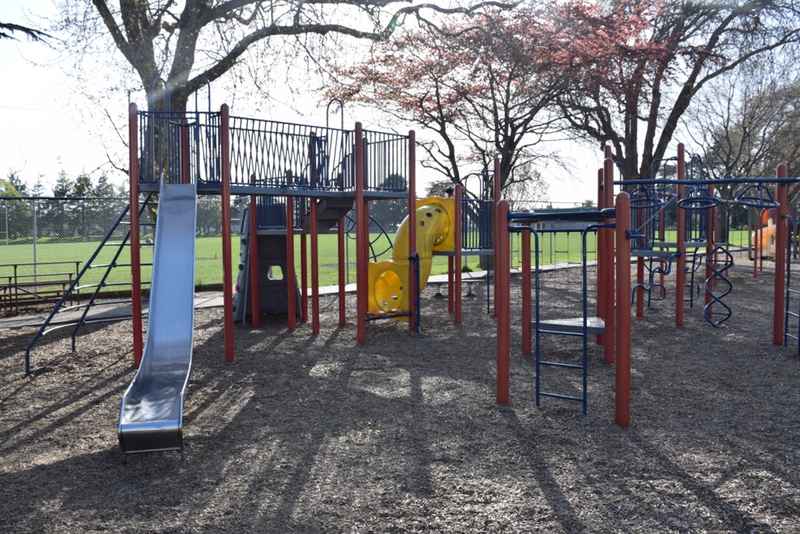 Get more information on Cook St Playground. While you're here, you're also a hop skip and a jump from either Beacon Hill Park or Dallas Road, two of my favourite places to walk in all of Victoria. This is an absolute MUST SEE. If there was only one park on this list that you're going to check out, this is the one. Filled with whimsical sea creatures including the "Cadborosaurus", they are so fun for the kids to climb on. But that's not all this playground has... There's a zipline, plenty of slides and swings, ship wrecks you can drive, and even a play area where your little one can learn sign language. 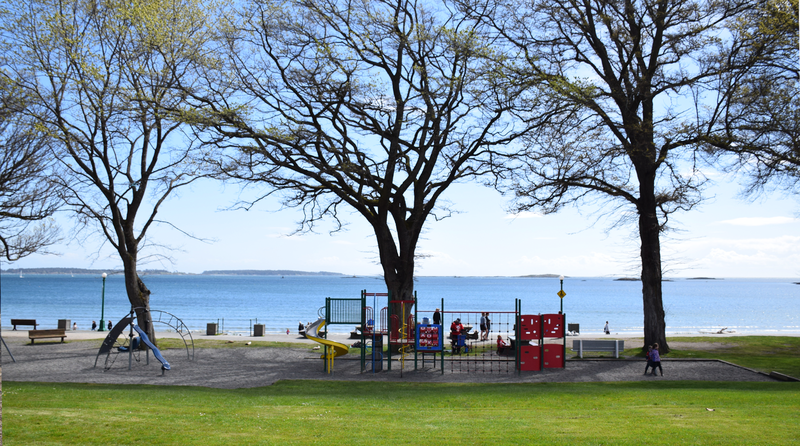 Behind you is a large grassy field where families often picnic or host birthday parties in the summer months, and in front of you is a spectacular waterfront view of Cadboro "Caddy" Bay. You'll typically see some paddle boarders and sail boats in the bay, and the sandy beach is sheltered, perfect for kids. There's public washrooms and change rooms just next to the playground. Get more information on Gyro Park. Just across the Johnson Street bridge is this gem. Boasting Victoria's only skate park, it's tons of fun to bring a scooter, skate board, or bike and ride around. If that's too dare-devil for your youngster, it's even fun to watch the older kids give it a go. Behind the skate park is a big field usually being used by a slo-pitch team and at the far end is the playground. It has a toddler area and bigger kid structure with lots of fun ways to climb up or down. There's also a "mini mountain" next to the playground (where the photo was taken) which is a small hill of rocks that the kids seem to love to climb and get a good vantage point! There are public washrooms near the baseball diamond, just next to the parking lot. Get more information on Vic West Park. This park is about as much fun to play on as it is to look at. I love the fact that it is enclosed, so my little runner is confined to an easily watchable space. It's certainly the best in Fernwood area. 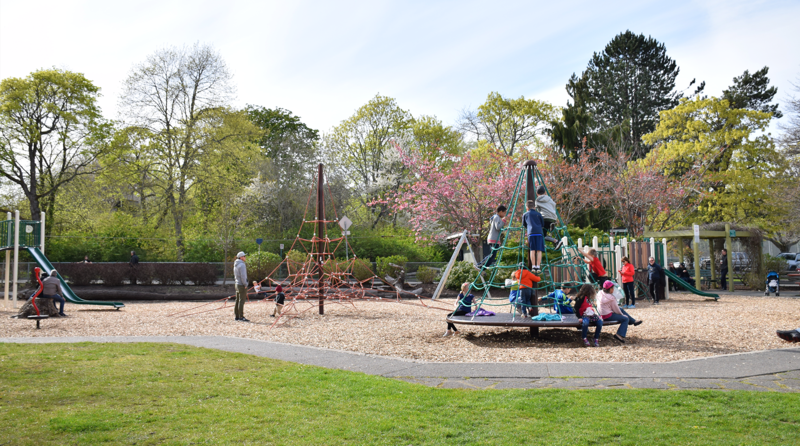 This park reminds me of outer space, because it’s all red, and has some fun equipment that we don’t usually get to play on at other parks for instance it is one of the only parks in Victoria with a sway boat! With a rubber floor, this park also means less random finds in the gravel (which I’m thankful for). 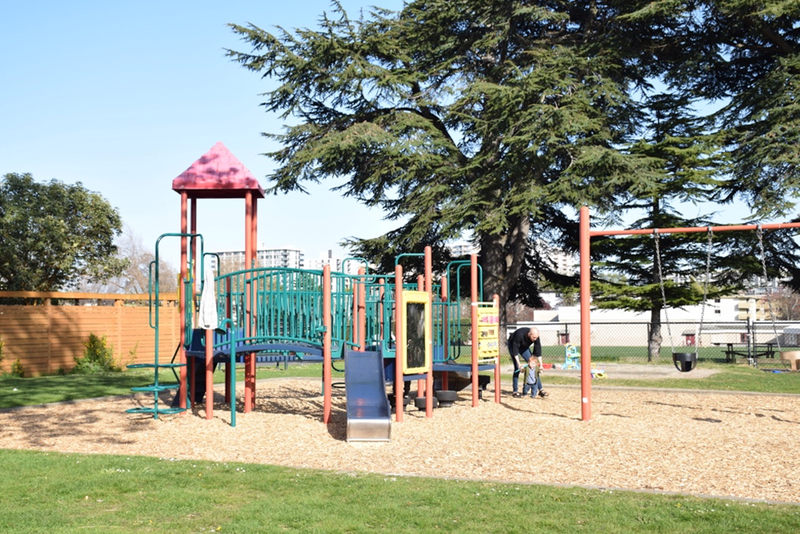 For kids that love to run and play in grass, there is some open grassy space nearby but the playground itself is quite tight to the perimeter. One of our favourite things about this park is the fact that it's accessible even for wheelchairs, as there's lots of ramps. There's even a spot to learn brail! Note that this particular playground doesn't have public washroom facilities. See more photos and exact location. This park is loved because of its variety. Towards the back of the field along Montreal St is the Toddler Park (pictured above). This is completely gated in (have I mentioned that I love fenced in parks) and there is plenty of things to let the imagination run wild. 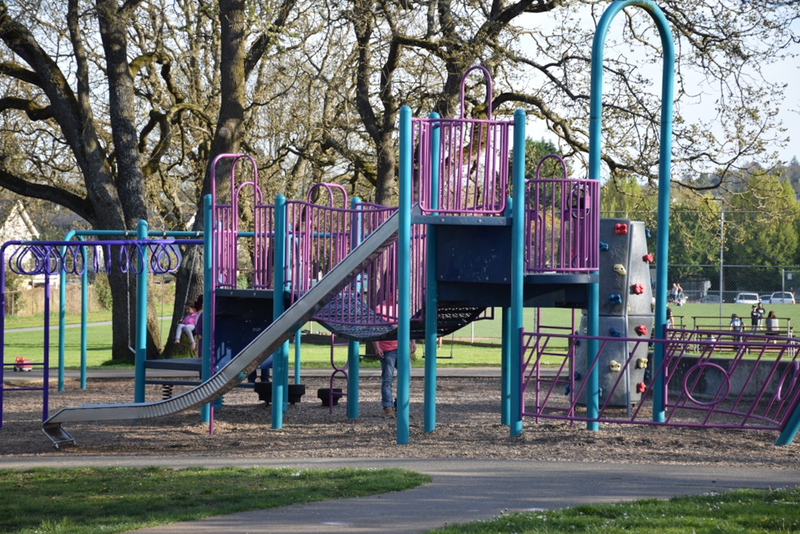 I know lots of moms who consider this one of the best parks in Victoria. If you walk from this park across the field to the parks behind James Bay Elementary, you will find two parks side by side. One is dedicated to older kids, and has a higher climbing structure, slide, and small swirly wheel, and the other one is made for much younger players. With smaller ladders, textured walls, and steering walls, this park is also one of our favourites. The play goes beyond physical, as there are different toys placed within the wall of the structure that move when touched, creating a learning experience for youngsters. This side is fenced from the road but does open up to the big field where you can enjoy a ball game in the summer months. See more photos and get exact location. My son has the activities in this park memorized, and floats from one piece of equipment to the next purely out of muscle memory. Although it doesn’t have a gate, it is fenced in for the most part. It boasts a sandbox, swings, slides, and some other fun little pieces that are unique to this space. Like, for instance, this running log that my son loves to sit and twist on. The bridges and steering wheels are also, always, a plus. Like a few parks in Victoria, there are shared toys left in the sandbox permanently so you don’t need to worry about bringing your own! 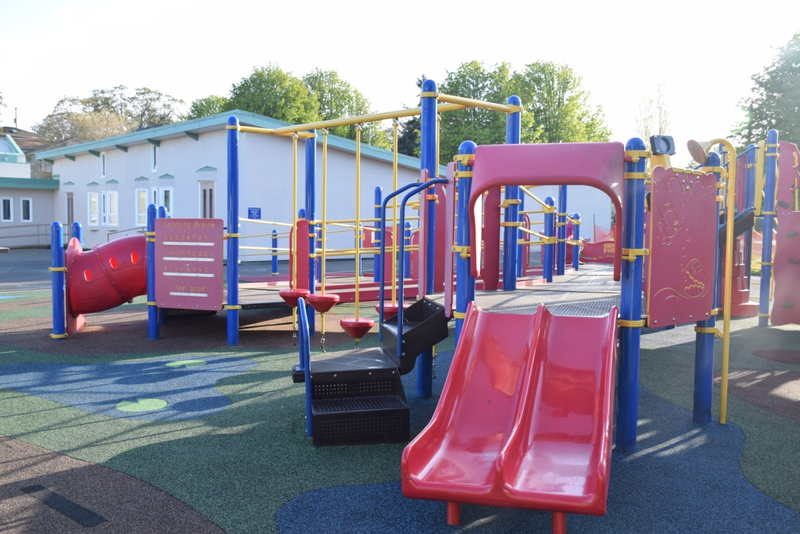 Right up the road is also Oaklands Elementary which has a great playground, basketball courts, and a big grassy field.  See more photos and get exact location. These are the places where we spend many of our sunny (and cloudy) days. Sometimes we do park tours, where we move from park to park. Every little borough of Victoria is filled with parks and kids and given more time to explore I’m sure one could discover gems in all areas. If YOU have a favourite park, do let us know in the comments below! And don't forget- if you're ever looking for fun things to do with your kids, check out our new and improved directory of things to do with kids in Greater Victoria, we cover it all!